Jay is having some time off but hopes to get back with us soon. Hello! Thank you all for your kind feedback regarding last month’s journal. A lot of you enjoyed reading Lisa’s story, and I received some very nice messages about it, so again, thank you very much! As ever, February has been a busy month and a lot of exciting things have happened – but what’s new?! The month started with a visit to Craigiebuckler Church to perform to the Aberdeen Buchan Association. 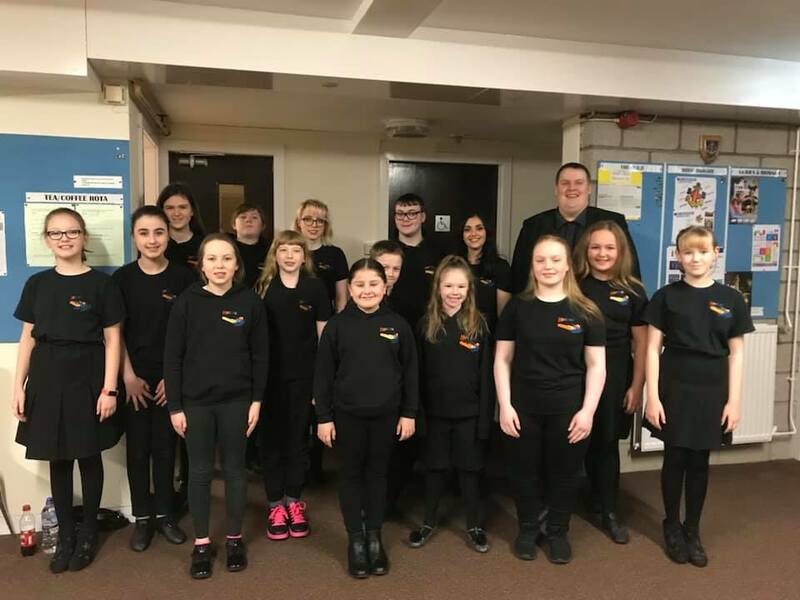 16 representatives of Music 4 U went along and performed numbers including ‘The Trolley Song’, ‘Can’t Stop the Feeling’ and a few from musical favourites, ABBA! A good night was had by all, and we thank the association for inviting us along. Here is the fantastic representatives – they did us proud! A week later, we welcomed Brian to our Musical Theatre and ConfiDANCE class on a Saturday. Brian works in the Music 4 U office on a Monday and kindly offered his services to us on a Saturday. Brian is no stranger to M4U – he often worked with us before he went on tour with M&M Theatrical Productions. Brian has skills in dance, theatre and videography. We are very pleased to have Brian’s assistance and expertise with us on the weekends, and look forward to seeing our groups produce new, exciting routines! I don’t know who was more excited; Debbie, or the participants! 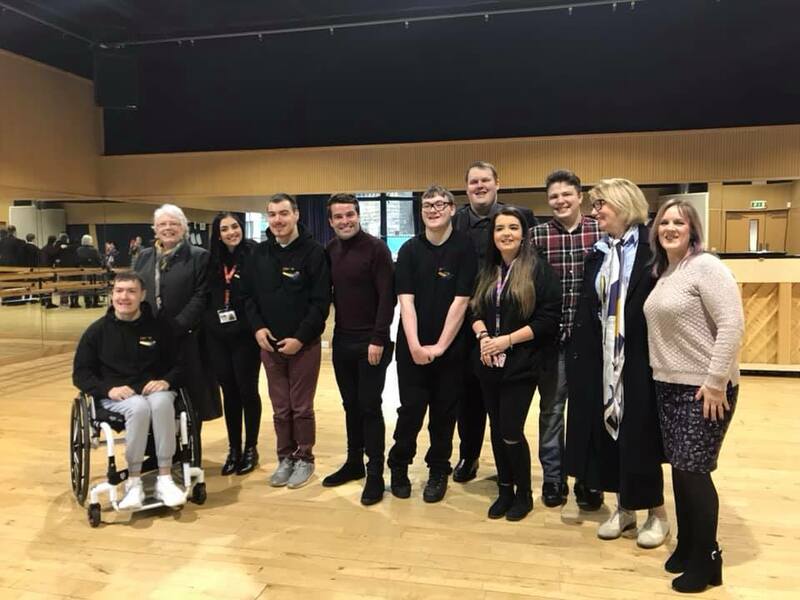 Just as we thought the month couldn’t get any more exciting; Debbie arranged a meet ‘n’ greet with none other than 2009 X Factor winner, Joe McElderry. Joe was up in Aberdeen performing in ‘Club Tropicana’ at HMT. Our Thursday participants were delighted to meet Joe , and some of the M4U board members even came along to say hello. Joe became relevant to us when we presented our ‘Beyond the Rainbow’ show at Mile-End school, back in (2011??? TBC) and Joe’s cover of ‘Over the Rainbow’ was sung, as well as signed in BSL. We thank Joe and his team for giving us such a memorable opportunity! As I just mentioned; sign language was something that M4U used to focus on quite heavily, and it was also something that our participants enjoyed and had fun learning. This was done through the help of Mags. Mags is deaf and teaches BSL. She was involved with us a few years back, but due to other commitments, was unable to continue. 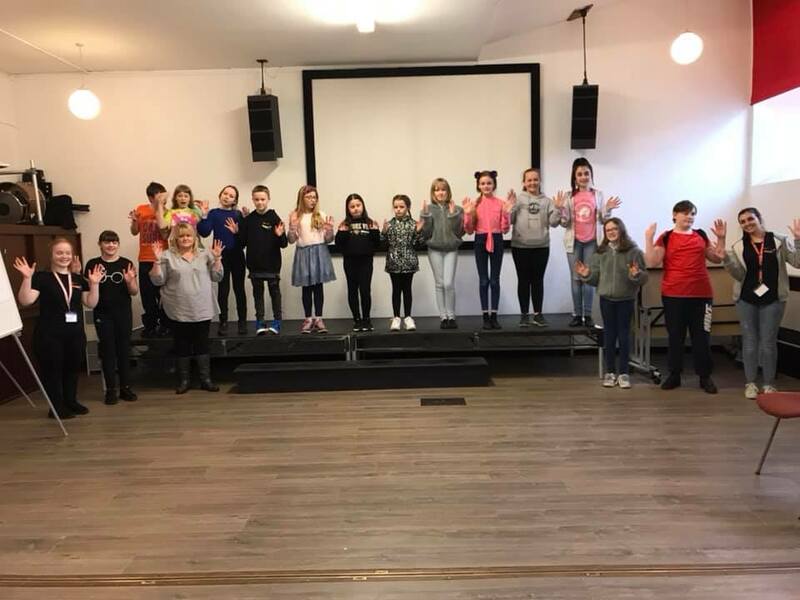 However, we were delighted to welcome Mags back, recently to help with a ‘Music in Motion’ piece for the 10th anniversary I am What I Am Show! We all enjoyed working with Mags again, and thank her for her time. That rounds things off for now folks, see you all soon!